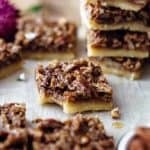 To-die-for Pecan Pie Shortbread Bars! Sweet and sticky maple pecan filling on top of salty and buttery shortbread crust. Just 9 ingredients and 15 minutes of prep time. 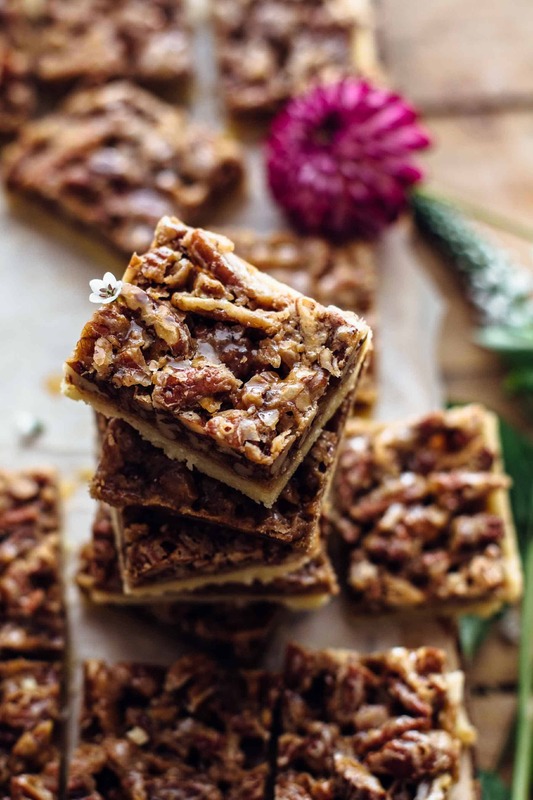 Pecan Pie Shortbread Bars are one of my favorite fall desserts! I love the buttery shortbread crust topped with that caramel-ish, sweet and salty pecan filling. Butter, maple syrup, brown sugar, and pecan nuts are a taste-match made in heaven. 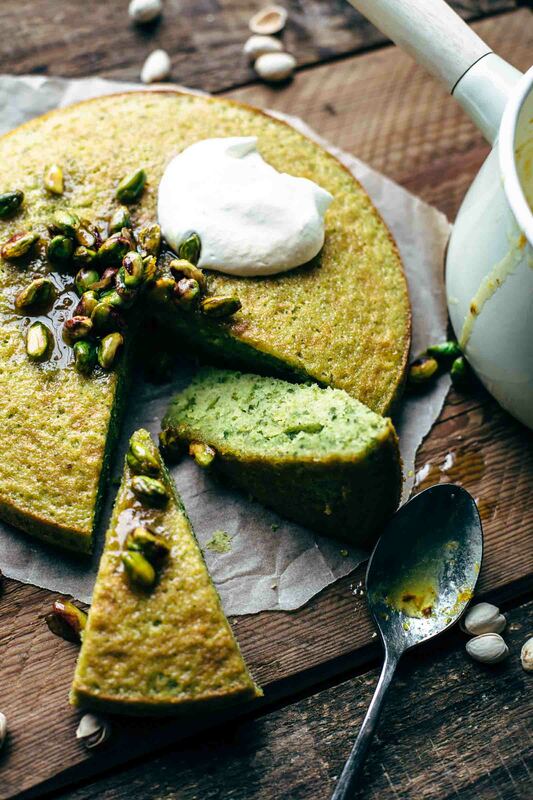 What is your favorite baking season? I’m going to start a poll on my Facebook Page on that topic. The answers can be Fall/Winter or Spring/Summer. I’m already curious what comes out. You know I love summer and warm weather. This is the reason why I want to live in California. But fall is such a beautiful and cozy season. AND in fall, I’m literally more in my kitchen than anywhere else. The days are getting shorter, the weather is mild and sunny, the house is warm because of the oven, and it smells everywhere like cinnamon, butter, nuts, and maple syrup. Doesn’t that sound super cozy and lovely? The crust is quite easy to make. 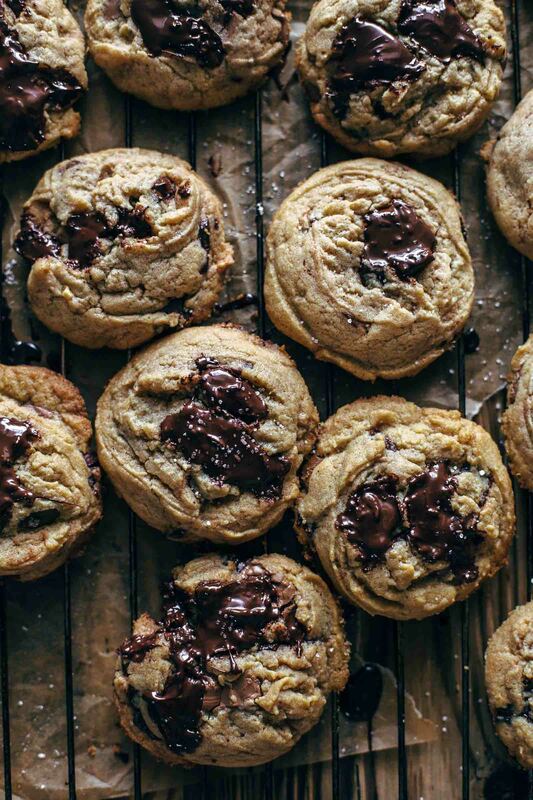 You need just butter, flour, sugar, and salt. 4 ingredients in total! When you make the shortbread crust in the food processor, it takes you 2 minutes to make it. In case you don’t have a food processor at home, you can make it with a pastry cutter or two forks instead. You can read the instructions for each method in the recipe below. The crust needs to be prebaked for about 20 minutes. This makes sure that the crust stays together and doesn’t combine with the filling during baking. So please don’t skip this step! While the crust is baking, you can prepare the filling. What I really love about the crust is…everything! 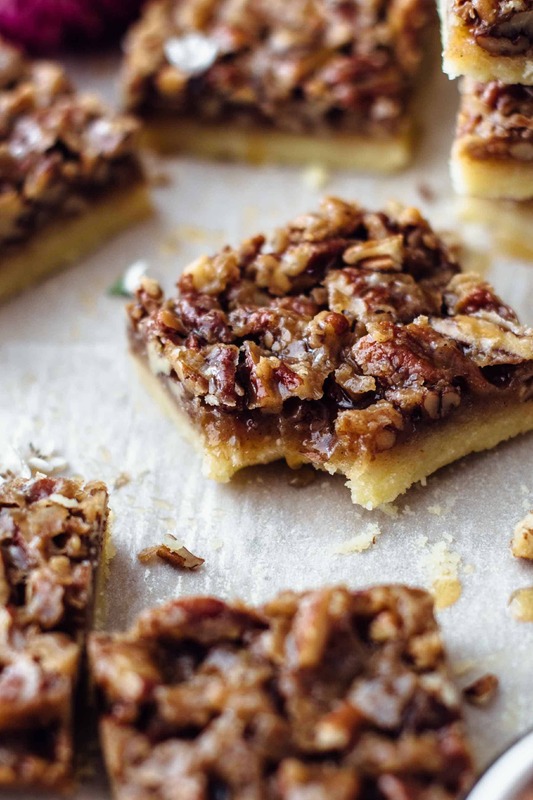 This Pecan Pie Shortbread Bars recipe is old-fashioned. In the beginning, I was thinking about to make Chocolate Pecan Pie Bars, because, you know, I love chocolate. And all the flavors would have been a dreamy fit to the chocolate. But this could be another recipe. Today we stay classic. For the filling, you need 7 ingredients. And guess what. It’s also super easy and quick to make as the buttery shortbread crust. Big flavors but little effort. That’s my kind of baking. And with big flavors, I mean HUGE flavors. There are 3 cups of pecan nuts in the filling! 3 cups! 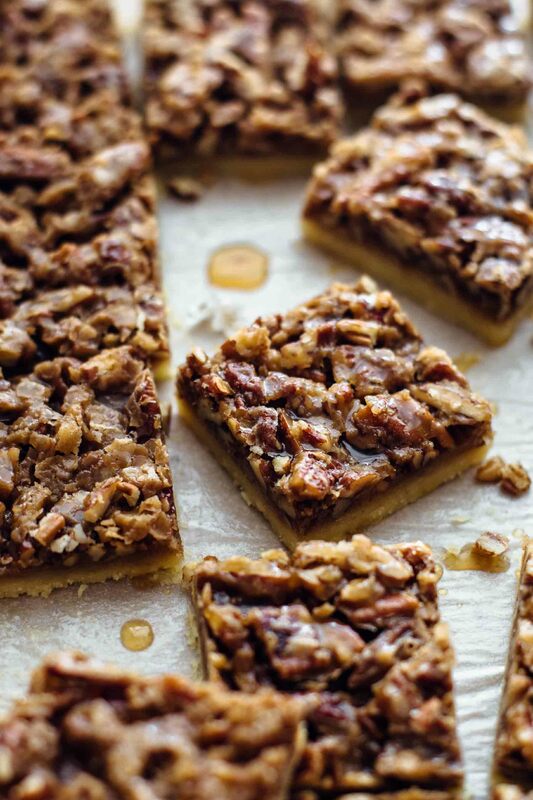 It’s hard to describe how awesome that moment is when your teeth sink into one of these Pecan Pie Shortbread Bars and your mouth is full with sweet and sticky pecan nuts and that salty, buttery shortbread crust. Ok, I drift away again. To make the filling, place all ingredients except the pecan nuts in a saucepan and bring over medium heat to a boil. Cook for a few minutes, then stir in pecan nuts. Then pour filling on top of prebaked shortbread crust and bake for about 25 minutes. Do you also love to look through the oven door and watch your cake, pie, cookie, bars, you name it, baking? My favorite baking goods to watch baking are cookies and cupcakes. Cookies are really awesome to watch. It amazes me every time when that little cookie balls literally start melting down in the oven and get flat. 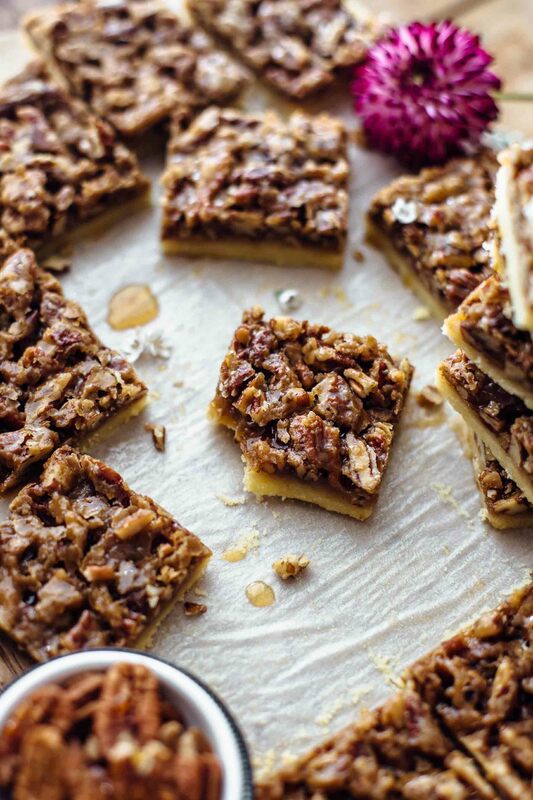 But these Pecan Pie Bars are a close number 3 to watch baking. The smell that comes out of the oven when you sit directly in front of the oven is going to make you crazy! I think I will make a chocolate version of it anytime. 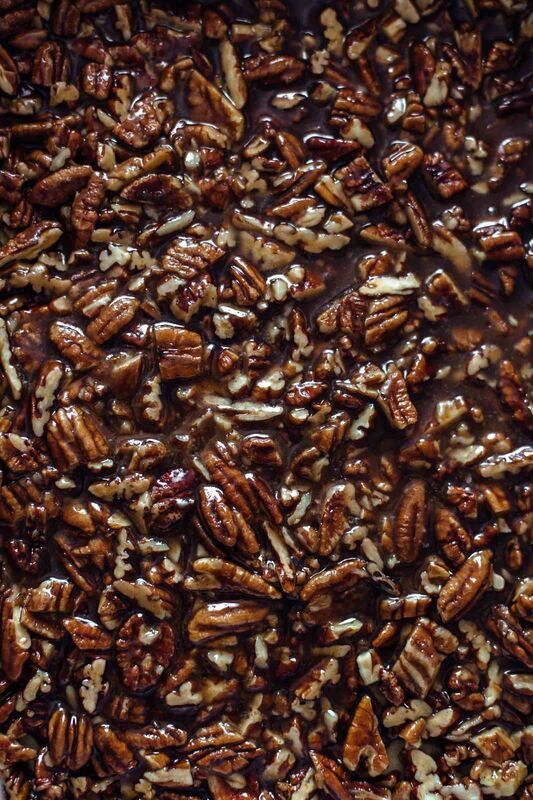 The idea of watching bubbling chocolate pecan filling makes me drool! These 7 reasons speak for themselves, don’t you think? If you make this To-Die-For Pecan Pie Shortbread Bars Recipe leave a comment, rate it and tag a photo #alsothecrumbsplease on Instagram! Would love to see your snap! 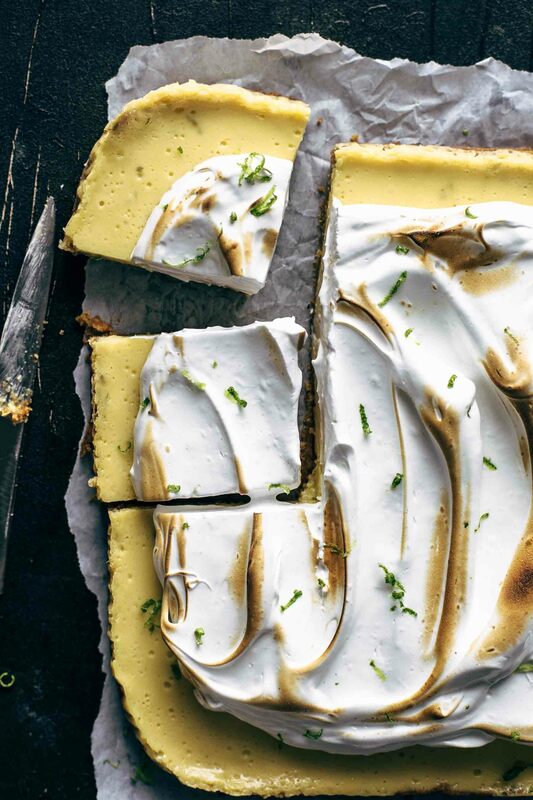 You may also like Peanut Butter Chocolate Cookies, Easy Key Lime Bars, Salted Caramel Pretzel Cheesecake Bars, Easy Pistachio Cake Recipe From Scratch, or click here to see all recipes. 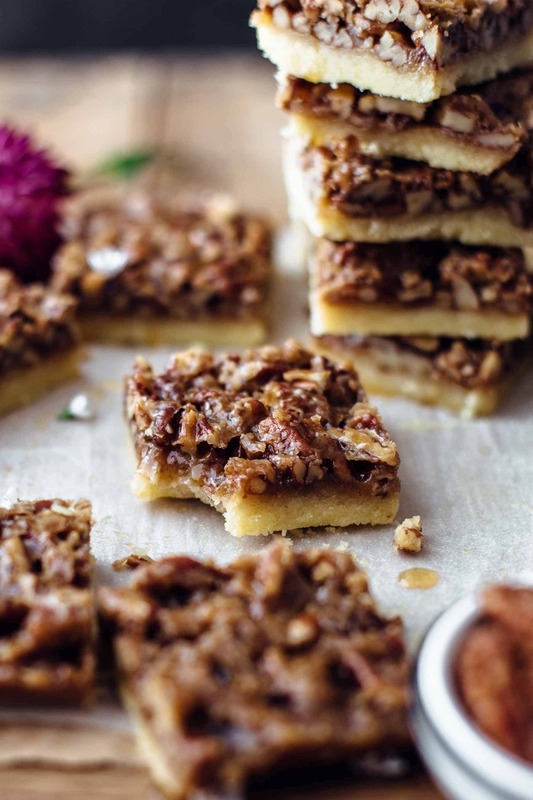 To-die-for Pecan Pie Shortbread Bars! Buttery, soft, and salty shortbread. Chewy, gooey, crunchy, and sweet maple pecan brown sugar topping. Preheat oven to 350°F (175°C). Line a 9x13cm (23x33cm) baking pan with parchment paper with an overhang on all sides. Set aside. Make the shortbread crust in a food processor: Place flour, sugar, salt, and butter in a food processor and pulse until it starts to clump. Transfer to the prepared baking pan and press with your fingers evenly into the bottom of the pan. Bake for 20 minutes until crust is lightly browned. If you don't have a food processor, then make the shortbread crust with a pastry cutter or two forks instead: In this case mix together flour, salt, and sugar in a large mixing bowl. Then add butter and cut it into the mixture until it starts to clump. 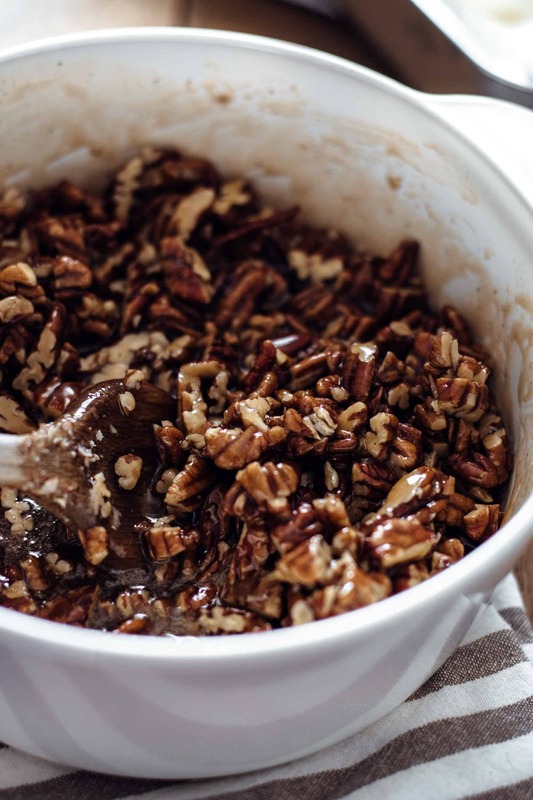 While the crust is baking, prepare the pecan filling: Over medium-high heat, in a medium-sized sauce-pan, combine brown sugar, maple syrup, heavy cream, salt, vanilla*, and butter and bring to a simmer. Cook for 1 minute and stir constantly. Remove from heat and stir in the chopped pecans. Remove crust from the oven and pour pecan mixture over crust evenly. Then return to the oven and bake an additional 20-25 minutes. The longer you bake them the harder and dryer the filling will be. I baked the filling for exactly 20 minutes. Remove pecan pie shortbread bars from the oven and let cool completely. Then lift them out of the pan with the paper and cut into 20 bars. Store in an airtight container at room temperature for up to 3 days. How would you adjust the recipe for a 9×9 baking pan? I recommend calculating and using 2/3 of the ingredients for a 9×9 pan size. The baking time is then the same. Hope that helps. Thank you so much for your feedback! I’m happy that you like them.